1. Adjudication of disputes from ancient times to modern era has changed with the growth of civilization. When the laws were codified and the process of adjudication regulated, the adjudication of disputes changed from “individual-centric” to one of “individual versus State”. Ever since the advent of Indian Constitution, the Judiciary one of the pillars of Democracy and Legislature each play an independent and important role catering to the needs of the people of Indian Democracy by creating the necessary infrastructure to address the large number of disputes brought to the Judicial System for resolution. Over the course of time and with the evolution of law and increase in litigation, the role of a Judge changed. The judicial infrastructure changed from a simple to a complex form with various tiers in the hierarchy. The adjudication process lengthened with the increase in the number of codified laws and the resultant litigations. 2. The growth in population fuelled a large number of commercial disputes between individuals and the State. New laws presented a challenge to the judicial system, calling upon the Institution to introspect on newer methods of resolution of disputes and for early resolution of the ‘lis’. 3. A Judge, over a period of time, in addition to judicial duties had to take a proactive role as an ‘Administrator’ in providing various frameworks and infrastructure for speedy adjudication of disputes. The bottom-line in this endeavor is to create sufficient judicial infrastructure for the growth of the Judiciary as an Institution, from the lower levels upto the Superior Court. 4. Access to justice is the hallmark of the new and modern judicial system. Speedy disposal of the ‘lis’, without compromising on the quality of adjudication, is another facet of the emerging judicial system world over. 5. Keeping these broad principles in mind, Hon’ble Mr. Justice Ramalingam Sudhakar, on his being elevated as a Judge of the Madras High Court on 10th December, 2005, adjudicated cases of varied nature in the field of original side suits, trademark, patent, design cases, arbitration matters, admiralty cases, company law petitions, tax petitions, tax appeals, writ petitions of general miscellaneous character – contract, service, etc., civil revisions, civil miscellaneous appeals, etc. While deciding cases on the various branches of law, primary importance was given to cases which are more than five years old. Tax appeals - old and new were disposed of at the earliest, thus resolving long pending tax disputes and settling the law on the issue. In cases relating to exemption given to trust and breached for claiming tax benefits ruling were given piercing the veil of the trust. 6. On ‘Environmental Law’, several path-breaking decisions have been rendered. To name a few, the restoration of rain bearing Evergreen Shola Forest in the Western Ghats and Kodaikanal hill range, removing of ‘Prosopis Juliflora’, a species of plant which is major cause of soil and ecological damage, restoring neglected water bodies, removing of encroachments, aforestation of waste land and National Highways, etc. 7. The difficulties faced by the beneficiaries/claimants in the Motor Accident Claims Tribunal for early settlement of the compensation and for quick disposal of the claim(s) were addressed in numerous reported cases. In a case of Motor Accident Claim a decision having far reaching beneficial consequence to litigating claimants the judicial order enabled the claimants to receive their compensation directly through their bank accounts at their place of residence. This avoided manipulation and depravation of just compensation. 8. On the administrative side, the infrastructure requirements of the High Court and various District Courts were promptly and effectively executed to meet the needs of the Judiciary. The numerable steps that have been taken to address the need of the Judiciary are set out in detail separately. These initiatives have given a fillip to the institution. In discharge of his duties both as a Judge as well as an Administrator, the interest of the Institution was paramount, so that the legacy of the Institution is maintained and improved with the change of times. 9. Justice Ramalingam Sudhakar was born on 14.02.1959. He hails from Panapakkam Village, Vellore District (Formerly North Arcot District), Tamil Nadu. Justice R. Sudhakar had his early schooling in Don Bosco Matriculation School, Egmore, Chennai and completed his school education at St. Mary’s Higher Secondary School, Madurai. During his school days, he was an active member of the Boy’s Scout movement and in sports. He graduated with a Bachelors Degree in Life Sciences from Loyola College, Chennai. He actively participated in sports, social and cultural activities both in School and in College. Justice R. Sudhakar was conferred a Degree in Law from Madras Law College. 10. Justice R. Sudhakar was enrolled as an Advocate in the year 1983 and started practice as an associate of the Legal Luminary and Senior Advocate Shri Habibullah Badsha, former Advocate General of Tamil Nadu and Public Prosecutor of Madras High Court. The pedigree of the law firm is worth mentioning. Shri Habibullah Badsha was associated with Shri Govind Swaminadhan - Crown Prosecutor and former Advocate General, Tamil Nadu, who in turn was groomed by legal luminary of the Criminal Bar, Barrister late Shri V. L. Ethiraj, the Founder of Ethiraj College for Women. 11. Justice R. Sudhakar practiced in all branches of law with particular emphasis on Customs, Central Excise and Sales Tax Law. Besides, Madras High Court, he has also practiced/appeared in cases before the High Court of Andhra Pradesh, Karnataka High Court and Kerala High Court. He regularly appeared in matters before the Supreme Court of India as well. 12. Justice R. Sudhakar’s father, Late Shri Justice S.T. Ramalingam served as a Judge of the Madras High Court. Justice R. Sudhakar’s maternal grandfather, late Shri S.P. Sri Ram served as a District Judge and retired as Chairman of the Sales Tax Appellate Tribunal. Justice R. Sudhakar hails from a family actively involved in freedom movement championed by the Father of our Nation Mahatma Gandhi. His maternal great-grandfather late S. P. Ayyaswami Mudaliar, a well known Civil Engineer in the early twentieth century, took active part in the freedom movement. During the years 1939 and 1940 the family hosted several national leaders and freedom fighters like Netaji Subhash Chandra Bose at their palatial house ‘GANDHI PEAK’ on Bharathi Salai, Royapettah, Chennai, named in memory of the Father of our Nation. 13. Justice R. Sudhakar was elevated to the Bench as an Additional Judge of the High Court of Madras on 10.12.2005 and as a Permanent Judge on 20.04.2007. In his career as a Judge of the Madras High Court spreading over a decade he decided 26196 Main Cases and 32943 Misc. Cases. A number of judgments delivered by him are reported in various Law Journals published in different parts of the Country. On his transfer from the Madras High Court, Justice R. Sudhakar took the oath of the office of a Judge of the High Court of Jammu and Kashmir on the 18th day of April, 2016. 14. Justice R. Sudhakar is committed to social welfare causes and social reforms. The empowerment of Advocates and their upliftment to bring the creed to its tall stature as it was during the freedom struggle, is one of his ambitious projects. 15. He organized a two days’ year long programme – Redefining Legal Practice for young Advocates on the various facets of legal education under the auspices of the Tamil Nadu Judicial Academy. The Scheme benefitted young lawyers of all districts of Tamil Nadu who were struggling to set their foot in the noble profession. 16. Promoting the cause of underprivileged, protecting the rights of differently-abled people, senior citizens and their rights, is another dimension of judicial reach advanced as a member of higher Judiciary. Social health and welfare issues are other major priorities. 17. Besides constantly and consistently working on law and the legal system, has keen interest in development of Agri Horticulture, and improving safeguarding of natural resources. He is proactive in protection of Environment, renewing forest cover. Restoring Heritage is his passion with meticulous planning and execution. 18. He is fond of travelling all over the globe to imbibe different cultures. He takes part in sports and sports related activity and has impacted the growth of sports by judicial orders in Public Interest Litigation. 19. Music in any form – Classical Indian, Fusion, Western Classical, Jazz, Music of natives all over the world is his passion. He has taken Music and dance as the soul of his life. 20. The Judge also takes interest in promoting Art and Artists, cultural events as a measure of harmonious living. 21. As an alumnus of Loyola College, Madras, he shows sincere concern and partakes in its activities contributing to the growth of education. Born on the 1st day of March, 1964. Obtained LLB in the year 1988 from the North Eastern Hill University. Enrolled in the Bar Council of Assam, Nagaland, Meghalaya, Manipur and Tripura in the year 1989. 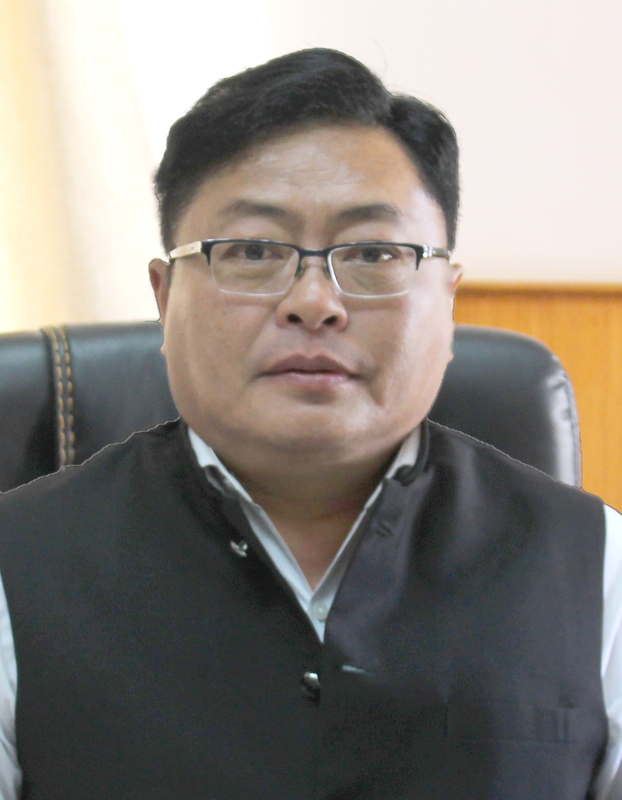 Appointed as Additional Senior Government Advocate, Nagaland in the month of November, 2000. Appointed as Additional Advocate General, Nagaland in the month of March 2009 and continued as such till elevation. 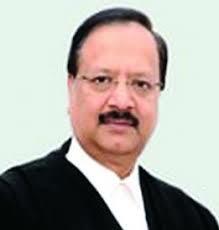 Elevated as Additional Judge on 22nd May 2013. Took oath as Additional Judge, Manipur High Court on 9th October, 2018. Born on 1st January, 1960 at Awang Sekmai (Manipur). Schooling upto Class-X at Awang Sekmai. Graduated from the D.M. College, Imphal under the Gauhati University (Assam). Obtained LL.B. Degree from Delhi University. Started practicing in law from 1984 in the Supreme Court of India. Passed Advocate-on-record Examination in the year 1994 as 1st person from the whole North East States except Assam, who passed the examination. Appointed as Standing Counsel for the state of Manipur in the Supreme Court of India in the year 1995 and continued the said post till 2013. Appointed as Additional Advocate General for the state of Manipur and continued to hold the post till 25.11.2014. Dealt with all types of cases mainly service matter. 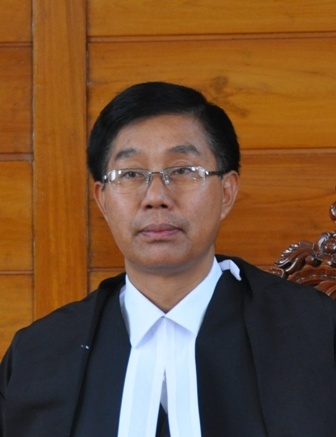 Elevated as Judge of High Court of Manipur on 26th November, 2014. Place of Birth: Maniampattu Village, Wallajah Taluk, Vellore District. Handled matters relating to Civil Law, Constitutional Law, Criminal Law, Service Law, Educational Law, Property Law and Original Side matters. Appeared before the High Court of Madras and Madurai Bench, DRT and DRAT, City Civil Court, Sessions Courts, Magistrate Courts and other Subordinate Courts. Appeared before the High Court in all types of cases including Criminal Appeals, Criminal O.P.s, Writ Petitions,Writ Appeals, Original Side Appeals, Civil Revision Petitions, First and Second Appeals and Civil Suits. Appeared before Trial Courts in Original Suits, Matrimonial Original Petitions, Rent Control Proceedings, MCOP Cases. Also advised Clients in drafting various kinds of documents including Sale Deeds, Wills, Joint Venture Agreement, Partnership Deed and other Deeds.